Led by Andrei Sourakov, Collections Coordinator for the McGuire Center for Lepidoptera and Biodiversity at the Florida Museum of Natural History. 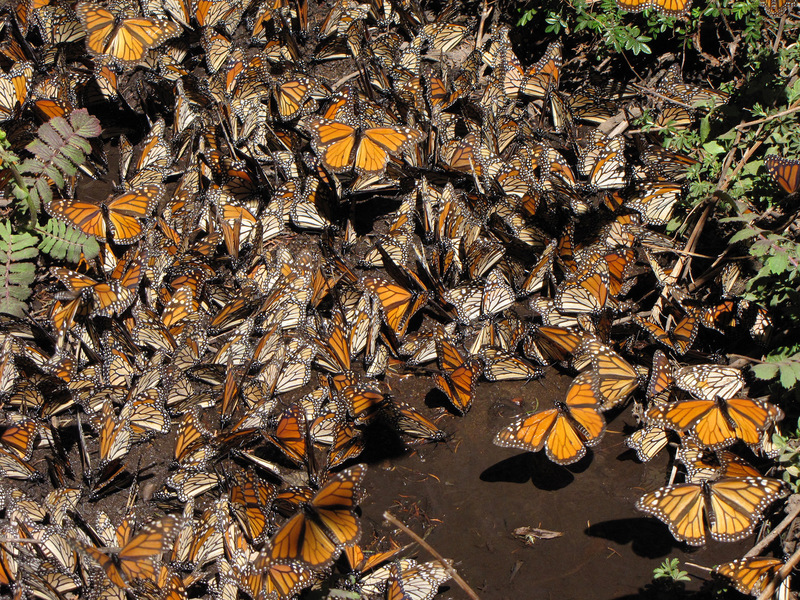 One of the most amazing phenomena in nature is the annual migration of millions of Monarch butterflies, Danaus plexippus, southward from their breeding grounds in the United States and Canada east of the Rocky Mountains to overwintering sites in the mountains of southern Mexico. Hundreds of millions of Monarchs fly along the Gulf Coast, or across the Gulf of Mexico, to eventually reach the high volcanic mountains across the southern end of the central Mexican plateau. 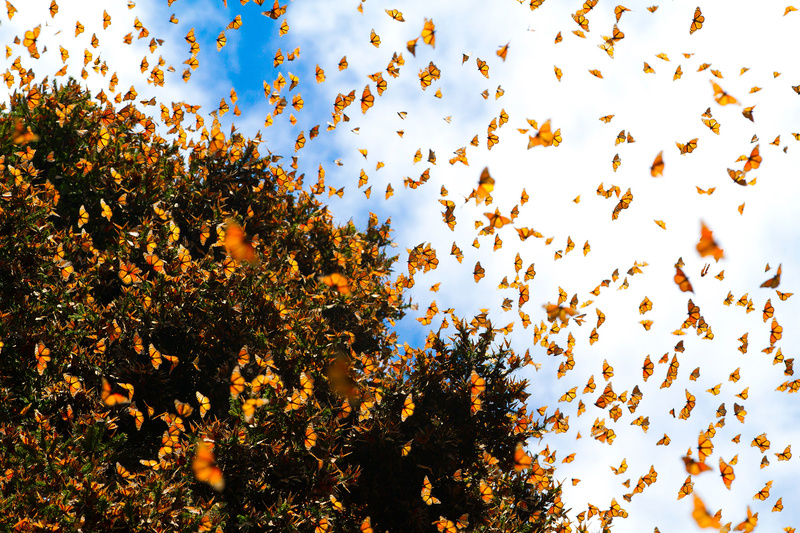 At about a dozen isolated places within the high-altitude fir forests of this zone, Monarchs pass the winter in aggregations that exceed 2 billion individual butterflies. 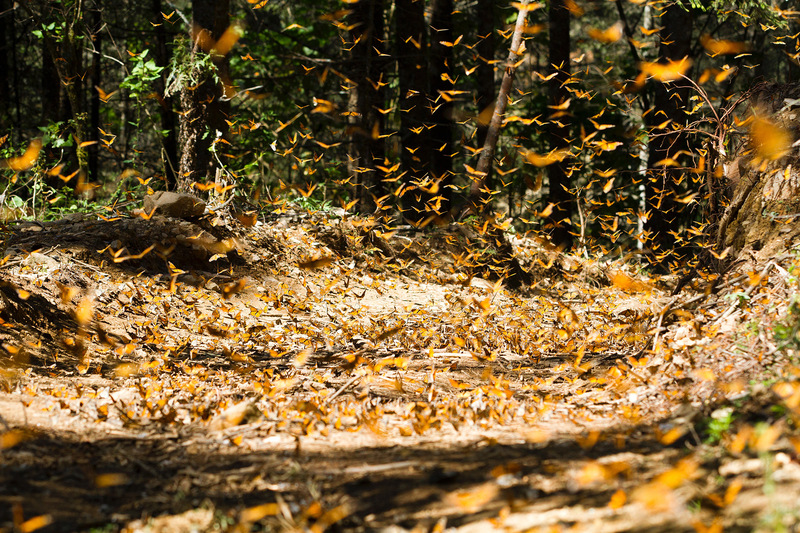 Throughout periods of sunshine, millions of butterflies will take flight from the roosts and sail to nearby stream banks to drink, then soar again into the air and eventually return that afternoon to their original roost on the surrounding trees. You will have the opportunity to see them packed in the countless millions on the roosts in the early morning, as well as in flight at midday, feeding on wildflowers (which amazingly bloom throughout the year at these elevations in Mexico), and watering at streams. The beauty of their rustling wings is clearly audible at times of mass flight. 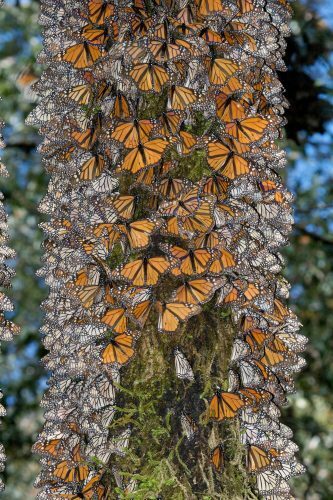 The sprinkling of orange Monarch scales drifting down through the green fir trees and sheer magnitude of the numbers seen combine to make this one of the most amazing experiences imaginable. Bring your best photographic equipment to record this miracle and later share with friends and relatives when you return home! Includes: Accommodations (double occupancy), in-country transportation, meals and activities as listed in the itinerary. Not included: Items of a personal nature, flights, gratuities, beverages, or trail horse rental (approximately $5 each way).